Today, I am combining two home runs in my book – sewing from my stash and making a handmade gift! 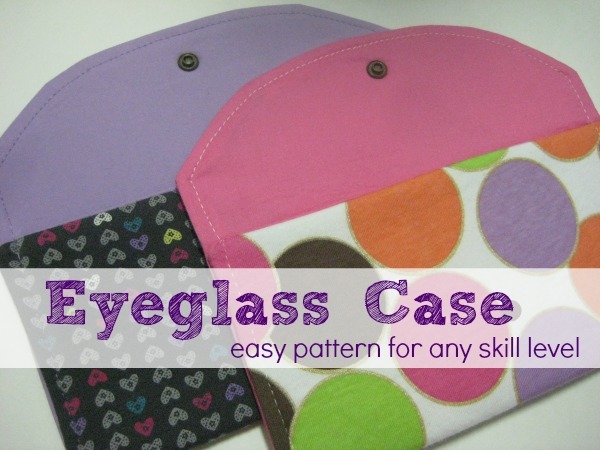 Inspired by my new Peepers Reading Glasses, this Eyeglass Case pattern is made from medium size fabric scraps and is the perfect holiday gift for a few “hard to buy for” peeps on my list. 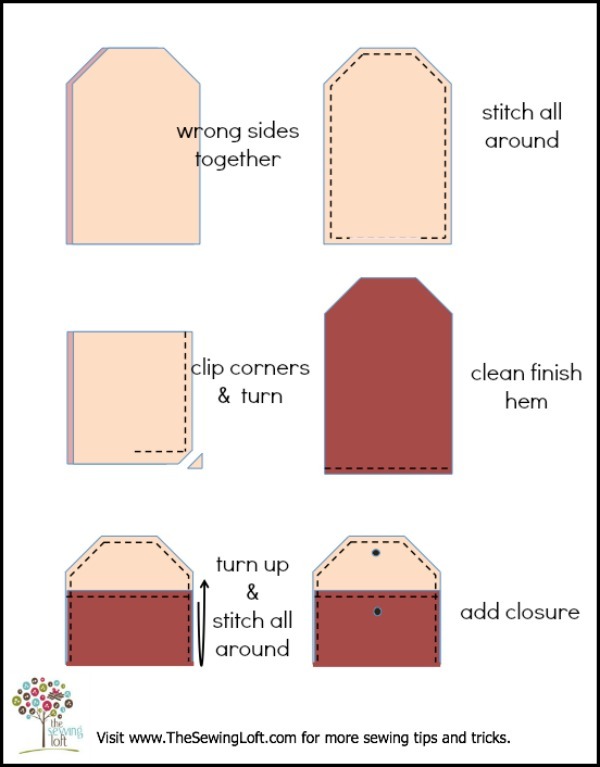 Cut out eyeglass case pattern from main fabric and lining. Starting 1 1/2″ away from the bottom corner of case, straight stitch all around to the other side. Leave a 3″ – 3 1/2″ opening for turning. Clip corners. Turn right side out and press. Push out corners as needed to create a straight lined corner. 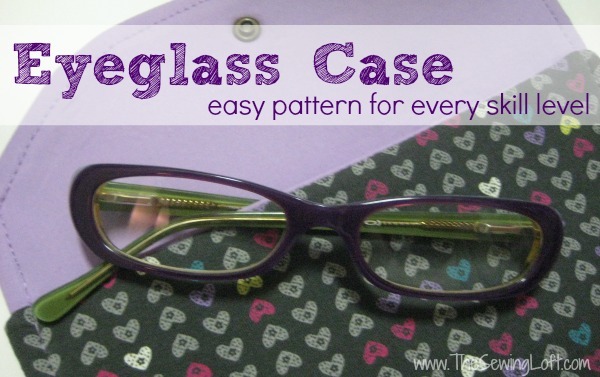 Flip up the bottom straight edge of eyeglass case to match the fold line on pattern. (Approximately 3 3/4″.) Pin sides in place and all around straight stitch 1/4″ from edge. This pattern is perfect to make in batches. Plus, they are the perfect little gift to have on hand. This way, the next time you forget it was your neighbors birthday, need a teacher gift or just want to cheer someone up, you have something on hand. Just slip in a fun pair of shades or gift card to your favorite coffee shop and you are all set! I’m going to admit something here- Sometimes, I need a little extra help when sewing. That’s right, my eyes, they are a changing! Even with my contacts I sometimes need an extra boost for the small detail work and those Peepers Reading Glasses tucked inside the case are perfect! These glasses are great to keep on hand and do just the trick. They are available in so many different styles and colors that it was hard for me to choose! So, I picked out a few pairs to keep on hand! Special “Thank you” to Peepers sending me a few pairs of glasses to try. If so, I’m glad you stopped by and hope that something has inspired you to keep your needle moving! Don’t miss a single project and subscribe via email HERE! Bonus- free embroidery pattern with newsletter sign up. Another great way to connect with me is via Facebook, Pinterest, Twitter , Google + or Follow my blog with Bloglovin. I’m looking forward to getting to know you and creating together!